We’ve come a long way from hearing Pitbull smoothly rap about TiVo on the radio. The need to fight over space on the family recording list has become obsolete as each individual can now binge watch as many episodes as they want — easily done from the comfort of their own bedroom and anywhere else on the planet with wireless Internet. Back in 2007, Netflix evolved the way people viewed entertainment with its revolutionary online streaming service. The company name broke boundaries and rose as a verb as tons of students went home to Netflix the night away. But now with more and more companies joining the profitable market, don’t be surprised if “HBO and Hang” starts to gain some traction. Despite possessing critically renowned original shows such as Orange is the New Black and House of Cards, Netflix no longer has a monopoly on viewing online content. 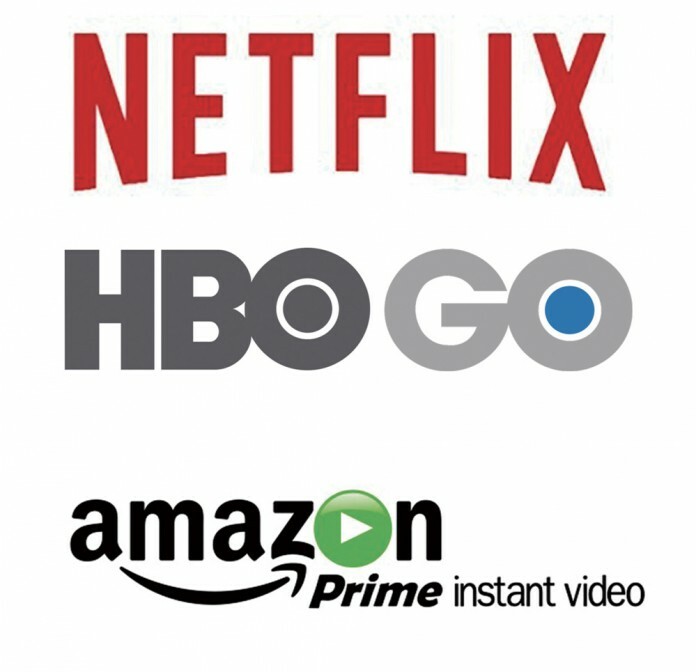 Other providers such as HBO Now, Amazon Video and Hulu have joined the ranks — each proving that they have different and engaging things to offer. Earlier this week, HBO had people raging over the newest season premiere of Game of Thrones as well as a movie special that correlated with the release of Lemonade, Beyoncé’s recently released visual album. While Hulu lacks in original content, it reels in its viewers with a next-day broadcast service and an exclusive right on everyone’s favorite raunchy cartoon South Park. Even Amazon, the Internet’s shopping hub, now has an expansive video selection of entertainment, and is in the making of releasing their own creative shows. With four main services providing almost nearly the same thing but slightly different selections, it might get frustrating for those who don’t have around $45/month to subscribe to all of them. What if you want to hop from the hilarious Unbreakable Kimmy Schmidt to the drama-encompassed The Wire all in one incredibly long procrastinating night? As college students, we don’t have the funds to be crossing over platforms. What if I told you that all four of these companies agreed on a contract to merge all the content into one incredibly entertaining service? The initial reaction might be one of pure joy. At least until the basic principles of Econ. 1 randomly popped into your head. If you’ve never taken the class, if you were unfortunately weeded out or if you are still braving the major, you probably still know this one concept: monopolies are bad. When there’s one company as the only provider for a product, the price for the product is significantly higher than if there was enough competition. With this, the price can be brought down to its average cost. For the people who can still afford it, they might not mind. For those not so fortunate, they would be cut off from the service, and they’ll never get the chance to find out what happens to Frank Underwood’s presidency or whether Game of Thrones goes as far as necrophilia. On top of that, not only are competitors good for pricing, but they help bring wonderfully innovative productions to the market. Every company wants to draw in users, and they’re willing to go above and beyond to give consumers a reason to pay for their service. On this note, Amazon recently announced that they spent at least $3 billion on original content last year, with Netflix hoping to top them in 2016 with an estimated 6 billion. Each company is pushing each other, therefore resulting in better entertainment being made. While it would certainly be convenient to have a huge streaming library all in one place, the pricing would increase while the quality would most likely lessen. If you’re looking for the perfect way to bypass these consequences, get together a group of four friends, have each one of you subscribe to a service and share the love. You’ll never again say the phrase “I Gaucho back” with such ferocity.